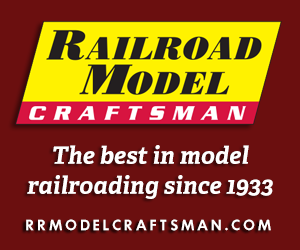 The Pemco Railway System HO-scale trains enjoys one of the shortest lives of any model train product line offered in the U.S. Pemco stood for Precision Engineered Models Company. Investigation into the origin of Pemco finds that it was conceived as a product line that would be aimed at the “toy train” buyer, but made to a level somewhat higher than the standard TYCO quality popular in that category around 1980. One story often told relating to the origin of the Pemco line is that Aurora was planning entry into the HO-scale R-T-R train market in the late 1970s. Aurora is well known for its various model kits, slot cars, and offered a line of N-scale model trains in the late 1960s. The company has in the past offered HO-scale accessories in the form of building kits, but has never offered HO-scale trains in the U.S. Apparently, Aurora decided against entering the American HO-scale train market or was in the midst of some financial situation that prevented this expansion into HO-trains. Though HO-scale trains boxed in the black-and-gold packaging that you find Pemco trains has been found bearing the Aurora name and logo. These items also carrying both English and French labeling and are known to have been sold in Canada around the same time the Pemco line arrived in America. Research indicates Pemco may have had a marketing arrangement with Aurora for distribution of the Pemco train line in Canada and the items were packaged with Aurora’s Aurora name. Pemco’s line featured a number of offerings that were and continue to be unique tool & die work in the HO-scale R-T-R (ready-to-run) marketplace. There is only one known Pemco product catalog, which is undated, and contains color images of most of what is known to exist.